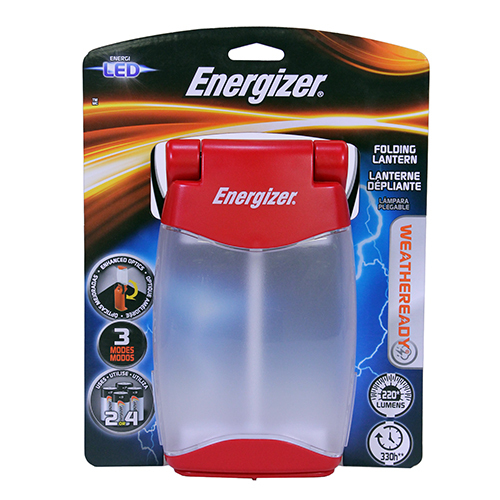 The Energizer Weather Ready LED Red Folding Lantern features 3 separate modes that offer high, low and nightlight. It has the ability to fold out for a 360� area light and can also fold in for compact storage. This lantern is powered by 4 D batteries (sold separately) and can last for up to 135 hours.